Ed Sheeran and Beyonce perform onstage during Stevie Wonder: Songs In The Key Of Life - An All-Star GRAMMY Salute at Nokia Theatre L.A. Live on Feb. 10, 2015 in Los Angeles. 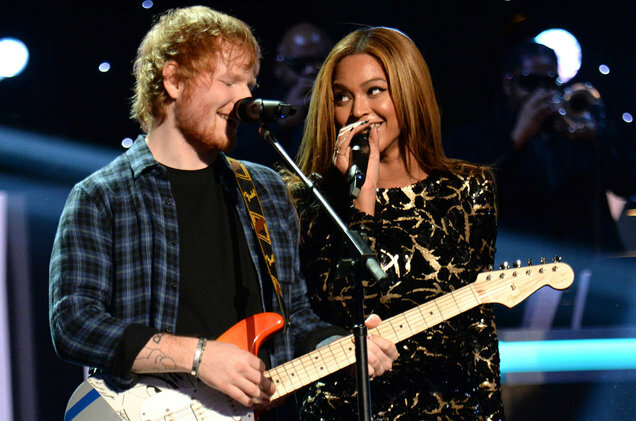 The much awaited duet between Ed Sheeran and the Queen Bey is finally here. The acoustic track which you can stream below opens with Sheeran singing the first verse and chorus before Beyoncé comes in with the second verse.